I’m Lieutenant Colonel Domingos Robinson – an Army officer and conductor. I have a B.S. in Music Education from Hartwick College and a Masters in Conducting from the New England Conservatory of Music. 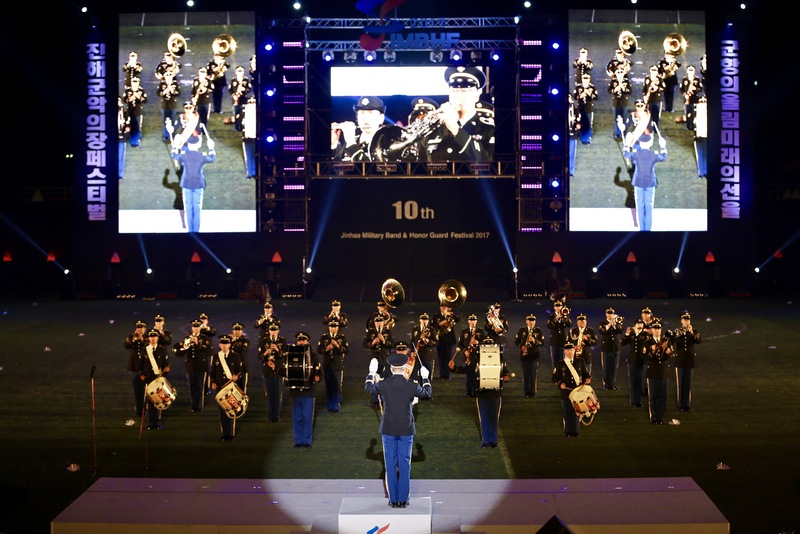 A funny thing happened on the way to being a college band director: I found out that the military has bands. After inquiring about an ad in a professional journal, I was in Washington, DC auditioning for a job I didn’t know existed just a couple of weeks earlier. Before I knew it, I was standing in the Boston MEPS (Military Entrance Processing Station), swearing to protect and defend the Constitution of the United States. Over 19 years later and here I am, currently serving as Deputy Commander of The U.S. Army Field Band. I have had quite an interesting career so far. I’ve had the opportunity to conduct world premieres by great composers; entertain Soldiers and citizens across the United States; be a part of some of our Nation’s most important and solemn occasions; and work with some of the finest musicians in the country. I chose the title “To the Color” for this blog after the bugle call often heard following “Retreat” on military posts as the National Color is lowered for the day. I write mainly about being a military musician but I’ll also write about whatever I’m thinking about that I think at least one other person might find interesting. Thanks for stopping by. Great post article! Please take some time to review some of the photos on the U.S. Naval Forces Europe Band’s Facebook page. We spend a lot of time on the continent of Africa…I will let the photos do the talking, but I am sure you will see how these fine Military Musicians are improving international community relations through the language of Music! I think we can all agree that our great nation cannot put a price tag on this. Nice to see you have experienced success domingos. Also sorry to have lost you as a Facebook friend. I see you deleted your account and established a new one. Be well and God bless. I would like to take a few minutes from your schedule and ask for your attention towards Organic search engine traffic for Tothecolor.com. Looking at the above issues and other additional improvements for your website, I would like you to give us a chance to fix those issues. Our team of Search Engine and Social Media experts are here to serve you with best inputs. If you are interested in learning more about current status of your website, we would be glad to share WEBSITE AUDIT REPORT of Tothecolor.com for FREE. I just left a comment to your article on military bands and national security. Is there any way I can access my comment to edit out a couple of typographical errors? Sir – I don’t see how you can, but I believe I can. Send me an email with the corrections and I will make them.